It’s no secret that the latest trend in skincare hails from Korea. They’re innovative, gentle, and their beauty practices are based on thousands of years of tradition. Sephora even added an entire section of the store just for Korean skincare brands and, if they have it, you know it’s trending. 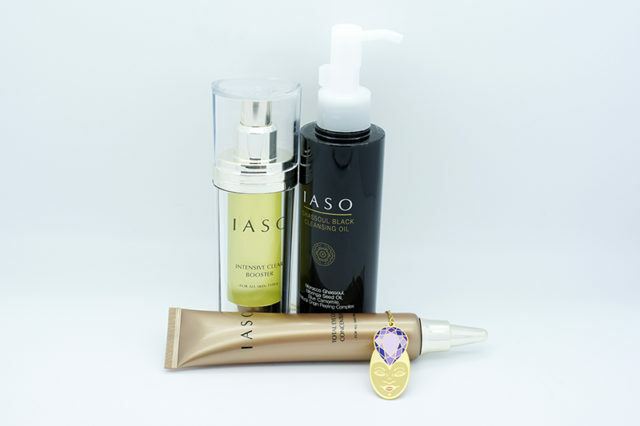 While not yet in Sephora, IASO is one of these amazing brands from Seoul. Created in 2001, the brand is named after the daughter of the Greek god of medicine, meant to symbolize healing and rejuvenation. Younger, healthier looking skin is their goal, so MyTopFace put it to the test. The combination of IASO Moroccan Ghassoul clay and bamboo charcoal are heaven for your skin. This clay has been naturally produced by the earth for 150 million years. It deep cleans your pores, while removing excess oil. It leaves the skin feeling very clean, with pores tighter and smaller. This is an amazing product to get rid of blackheads! Apply a small amount to a dry face, and rinse off with warm water. Make sure to shake the bottle first! IASO Intensive Clear Booster is for any skin type, and won’t upset sensitive skin. It contains witch hazel and tea tree oil, both essential for clear, healthy skin. It’s naturally hydrating and exfoliating, but not in a harsh or burning way. It is a little bit runny and has a strong smell, but it definitely reduced redness while making the skin feel smoother. If you’re looking for more radiant skin, this is the product for you! Women in their mid-20s seem to forget the importance of eye treatments! That age is a prime time to begin a solid skincare regime, and eyes are a very important part! 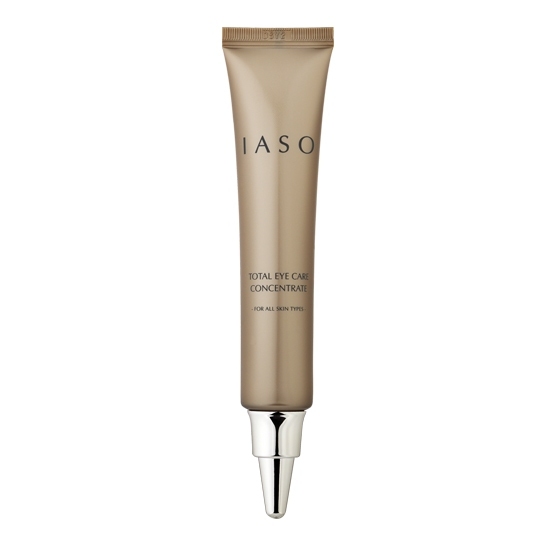 This IASO Total Eye Care Concentrate feels like a lotion and can be used day and night. It visibly makes you look more awake, reducing puffiness and dark spots, and locking in moisture in that sensitive eye area. A little of this product goes a long way, so don’t over squeeze. Always use your ring finger when applying product to the eyes, as it is the softest to the touch. With luxurious looking packaging and products with real results, IASO is definitely a must have brand. They also sell makeup and have an entire men’s line of skincare products. It’s only been in the US for six years so get your hands on it now! Special shout out to Rainbobo for the pretty Princess of Clarity Sigil Pendant! The idea behind this pendant in particular is meditation and to free your mind of negative thoughts, calming the ego in the process. A spiritual jewelry business based right here in Brooklyn, founder Emily Grote wants her customers to feel uplifted and loved through her pieces. With dreams of owning her own shop, she quit her career in corporate design to focus on creating jewelry with a purpose. The themes behind the pieces in this collection are healthy thinking towards the future and making yourself the number one priority in your life, much like the themes of skin care. Previous articleMyTopFace Gets a Cryotherapy at Kryolife and Fall Instantly In Love!